The prices of alternative energy stocks are at China's mercy right now. That's because for the past few years, China has been in a dispute with the United States, Europe, and Japan over its exports of rare earth metals. Though China has about 30% of the world reserves of rare earths, it controls 80% of international production. In March, the World Trade Organization (WTO) announced that China violated international trade laws by placing trade quotas and taxes on exports on rare earth minerals. Through these actions, China attempted to slash its rare-earth exports by 35% to 40% in 2014. The U.S. objected, and the WTO issued a warning in late March. China responded with a pledge to appeal the ruling. Certain alternative energy stocks are more vulnerable than others, while some are poised to corner the market thanks to their manufacturing networks inside China. 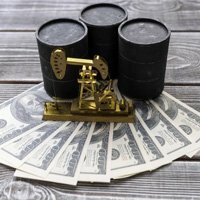 Here's how the alternative energy market is shaping up, and how to profit from this ongoing trade drama. 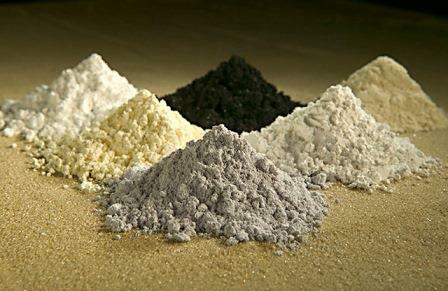 Rare earth metals are a group of 17 minerals that are central to the manufacturing of some of the most profitable products on the market today: solar panels, high-tech gadgets like mobile phones, hybrid car batteries, and products used by the defense industry. U.S. manufacturers need these minerals to build clean technologies like solar, wind, and geothermal. In 2012, production and consumption of the rare earth metals used in production of clean tech reached more than 100,000 metric tons, according to IHS Chemical. Today, the vast bulk of materials needed to build these technologies come primarily from China. Demand for these metals will rise by 50% by 2017, with China's own consumption spiking 8.3% each year, according to the same IHS report. The level of demand makes manufacturers outside of China extremely vulnerable to any controls that the country implements in order to reduce exports. The nation can increase mining taxes and export license fees, build up strategic reserves, introduce stricter environmental guidelines, increase export duties, or provide tax credits for anything used in domestic production. It can make it far more difficult for companies to access rare earth metals, which would prioritize its supplies to domestic manufacturers of electronics, solar production, and other industries requiring their use. Look for China to introduce new policies in the domestic mining, refining, and trading industries in the near future that ultimately have the same effect as export controls, but do not violate the WTO agreement. Meanwhile, the country has already taken up measures to reduce its exports and ensure domestic supply. These steps keep rare earth metals within Chinese borders.